I absolutely loved this book. From beginning to end I couldn't put it down. It's one of those stories that you could definitely relate to if you were in the same situation. Not only did I enjoy the settings of this story, set back in 1926, and in Australia. A place I have on my bucket list to visit one day. This is a story about a couple. A story about loss, gain, betrayal , forgiveness and most importantly, love. A couple who fall in love and try to start a family. Obstacles get in the way when Isabel has a few miscarriages and goes into a depression while they are on the isolated island. When a child enters their life out of nowhere it's like it's a miracle, for Isabel. Even though Tom wants to make his wife happy he can't help but feel lots of guilt over keeping a child that isn't theirs. When they get back to reality and off the island the guilt is getting bigger and bigger. I honestly cried and smiled so much while reading this story. It's one that will stick for a while and something that's not easy to forget. I definitely recommend this story as I'm sure most of you will love it. It was told through different points of view, but in a very smooth way. Very easy to follow and to feel the emotions that these characters go through. It's understanding because if the situation was your own it leaves you thinking that you too would probably react the same way with any of the characters. The plot, story line and characters in this story were so well developed and well written. Definitely a page turner that kept me reading through hours of the night. Disclosure: All opinions are my own. 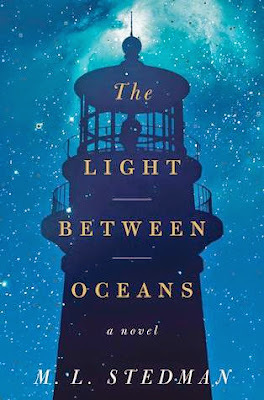 I received The Light Between Oceans at no cost for the purpose of this review. No other compensation was received.